Birmingham is a thriving city which has, according to the 2011 census 1,074,300 residents within its borders. The region a lot to offer for students, professionals, and families alike as these fabulous featured apartment locations clearly show. 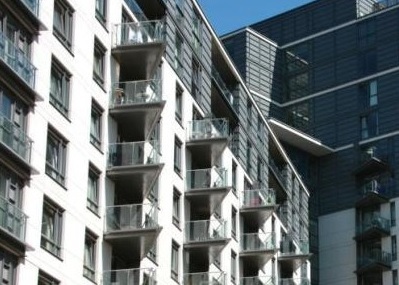 All these apartments are available to rent from Leary & Co. Ltd, based in Brindley Place, Birmingham. 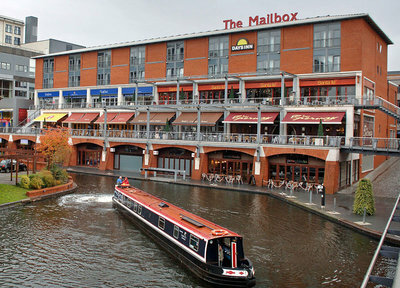 The Mailbox is located in the city centre and is the main restaurant, shopping and lifestyle location in the city. Residents have access to over 50, hotels, bars and restaurants, including the famous Marco Pierre White Steakhouse located in The Cube. It should be noted that The Cube also houses a number of exclusive apartments to rent (ideal for professionals). Furthermore it is now possible to rent your own property in this bustling Birmingham canal side centre. The luxury apartments within The Mailbox provide a base for those who enjoy a busy lifestyle themselves as well as easy access to the fabulous events that run throughout the calendar year. Harvey Nicols has chosen to open a unique signature store within the Mailbox by 2015 so whether you are into fashion, events or interior design The Mailbox is place for you. 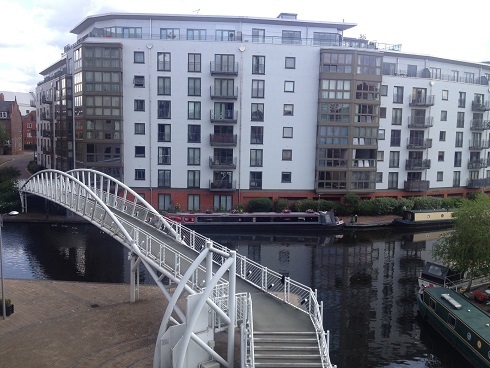 The Mailbox apartments are fitted to of highest of standards and often feature impressive views of the Birmingham Canal network. 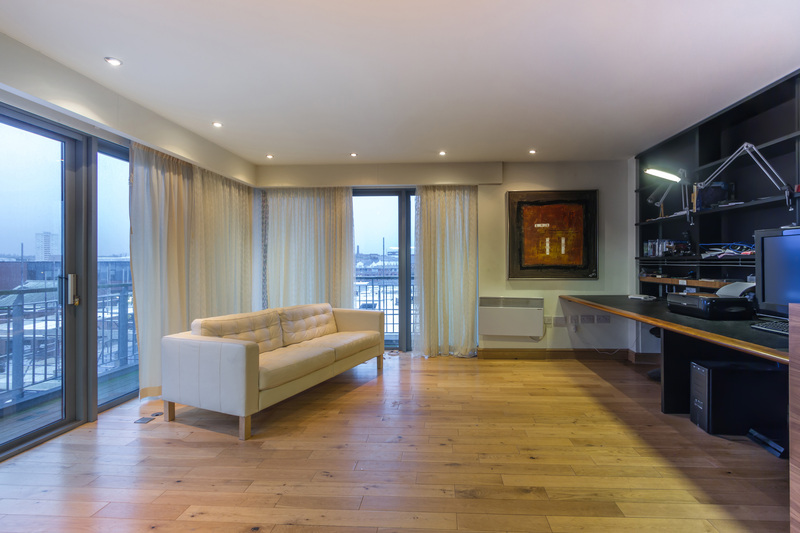 Be sure to indulge in one of the fully furnished Penthouse apartments in The Mailbox or Cube for maximum comfort. Centenary Plaza is best known as one of the most exclusive and certainly the most sought after apartment complexes in Birmingham City Centre. The apartments are located between Century Square and The Mailbox. Residents have unrivalled access to entertainment, shopping, and world class eateries. Additionally Century Plaza is close to the business district which is ideal for contract workers looking to rent in a location from which they can commute to and from work. This is a wise choice of rental location for anyone with a busy work and social life, who likes to be where the action is and who appreciates brilliantly design apartment spaces. Centenary Plaza boasts one of the most impressive concierge lounges in Birmingham, as well as a residents gym. The Birmingham Rotunda boasts clever architectural design alongside a convenient location. This Grade II listed building was completed in 1965. 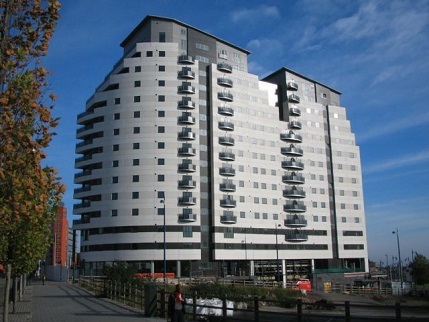 In the 80’s it was suggested that this “dead” building be demolished however fortunately this did not occur as after a significant amount of refurbishment between 2004 and 2008 this fabulous cylindrical high-rise building boasts some of the top apartments in Birmingham. The Rotunda is located next to the Bull Ring making it a fabulous choice for city workers and shopaholics. Here is an example of one of the interiors of a Rotunda Apartment. The Postbox is located in the busy city centre next to the extremely popular Mailbox complex. There are a range of one and two bedroomed apartments available, all are extremely spacious and well thought out in their layout. The Postbox benefits from being at the centre of a thriving social hub with a wealth of top restaurants, bars, and cafes. Many of the Postbox apartments have balconies but be sure to check out the communal rooftop garden shared by the residents, excellent views of Birmingham City Centre on a summers evening. 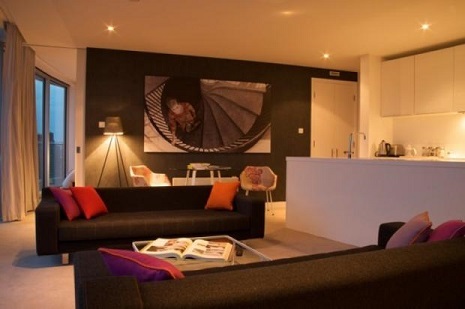 These apartments don’t stay on the rental market for long (landlords, investors, and tenants take note), this due to the sheer quality of the interiors, the location and the nearby access to Birmingham New Street. 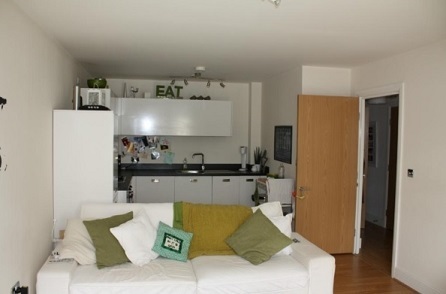 Here is an example of a one bedroom flat currently available from Leary & Co. Ltd in The Postbox development, Birmingham. Apartments within the prestigious Liberty Place development are highly sought after, not only due to the luxurious layout and features or the concierge service and balconies but also due to the exclusive Penthouse suites that often become available. See an example below of a Liberty Place Penthouse suite. 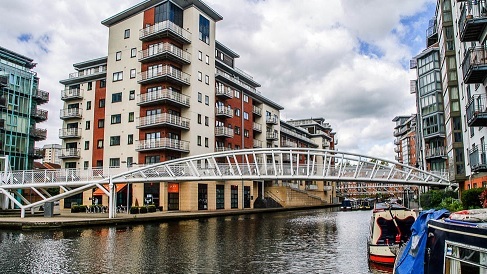 Being so close to the Convention Centre, the fun-filled Mailbox, the NIA, and Brindley Place it is no wonder that rental properties at Liberty Place rent so quickly after becoming available. Living in one of the spacious luxury apartments that King Edwards Wharf offers is not just about enjoying fabulous designed space and architectural features, KEW as it known locally is about a different type of lifestyle. 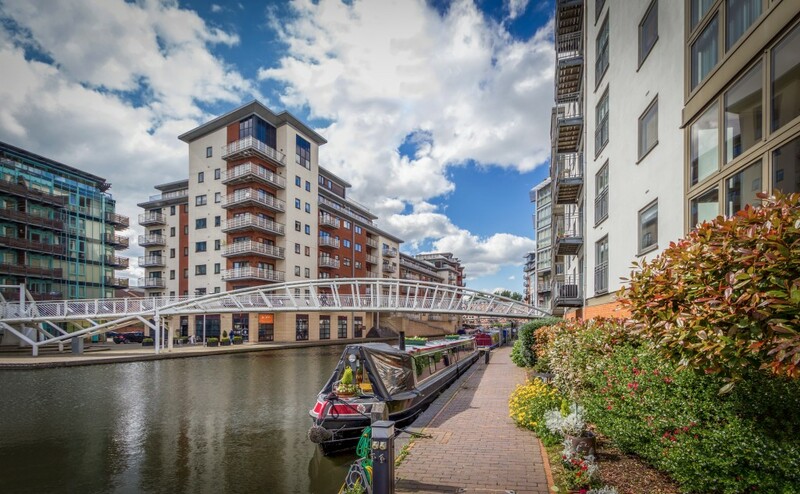 The canal side views, a 24hr management team and top security means that the residents at KEW are able to enjoy their new apartments in peace and tranquillity despite the busy city location. The world famous Symphony Hall, the National Indoor Arena, The Mailbox and more are no more than half a mile away from KEW which involves a short and refreshing walk alongside the canal. 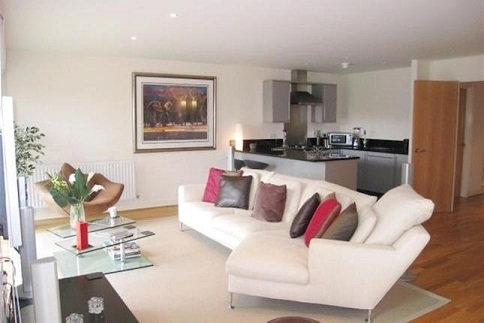 Here is an example of a fully furnished apartment in Kings Edwards Wharf. 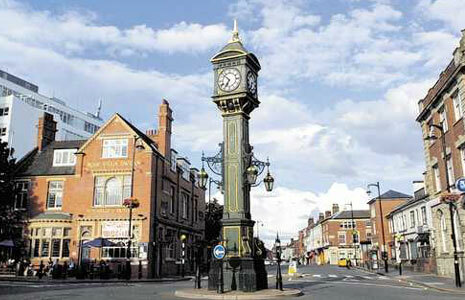 The aptly names Jewellery Quarter dates back approximately 250 years and is home today to over 500 jewellery related businesses. This historical gem found within the city has been described by English Heritage as a national treasure and it is easy to see why. 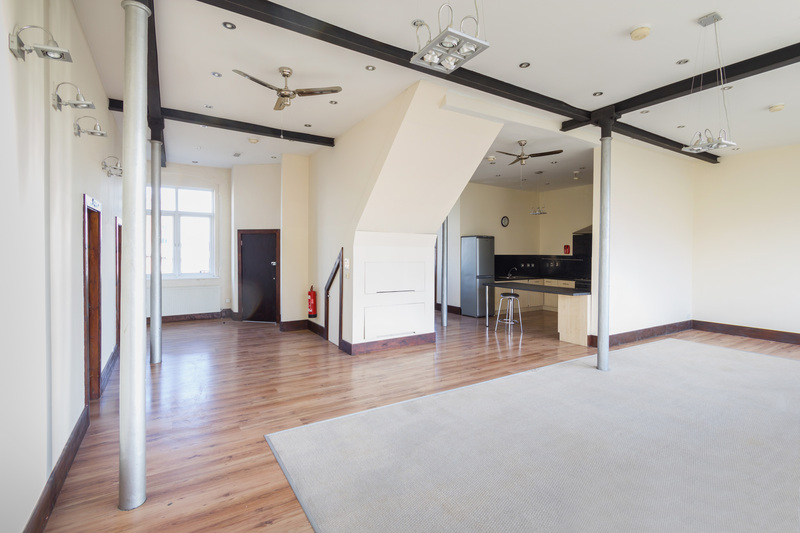 Apartments at the Mint within the Quarter combine deluxe spacious apartments within a thriving environment which has undergone significant restoration in recent years making it an ideal place to live, work and enjoy a busy social life. There is a real community feel to this area which makes it a popular placer for renters, as does the close access to the city centre and numerous amenities. The famous Jewellery Quarter Birmingham. The Glasshouse sports fabulous canal views and luxurious features. These modern apartments have a charm all of their own which is enhanced by the secure entryway and full length glazing. Apartments are often rented fully furnished. These apartments rent excellently in the summer months. Here is a view from a Glasshouse balcony. Westfield Hall offers a range of mansion style apartments which suit both families and professionals wishing to live within reach of the City Centre. While Westfield Hall is outside of the actual centre (Hagley Road) there are a range of local amenities available to residents and a short commute or bus ride into the centre ensures that those renting here have easy access to everything they want and need. Local tales say the manager of The Beatles once lived in Westfield Hall, Birmingham. 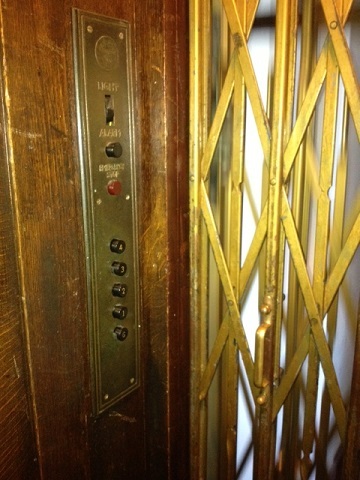 Be sure to check out the 1930’s lift (see below). Great fun. Masshouse Plaza is part of a collaboration between the Bank of Scotland and Nikal who share a vision to create a city centre community where residential living, offices and more work hand in hand. The first phase of the scheme included the building of a range of quality residential apartments, offices, lifestyle establishments such as restaurants, entertainment and leisure outlets. Further commercial development is on-going and yet to be completed. These new and beautifully finished apartments make ideal accommodation for students due to their close proximity to Aston University or professionals working in and around the city. Everything a person might want is on the doorstep and further development ensures the area will continue to grow and offer opportunities to those looking for rented accommodation. For more information please visit www.leary-co.com or contact us on enquiries@leary-co.com | Tel: 0121 2317 166 Leary & Co. Ltd is a residential property lettings and management company based at 3 Brindley Place, Birmingham, B1 2JB. Services include the management and advertising of landlord’s properties through websites such as Rightmove.co.uk, as well as advice on renting landlord properties in line with set regulation e.g. EPCs, Gas Certification and HMO’s. References are completed by our partners at Homelet. Deposits registered with DPS.